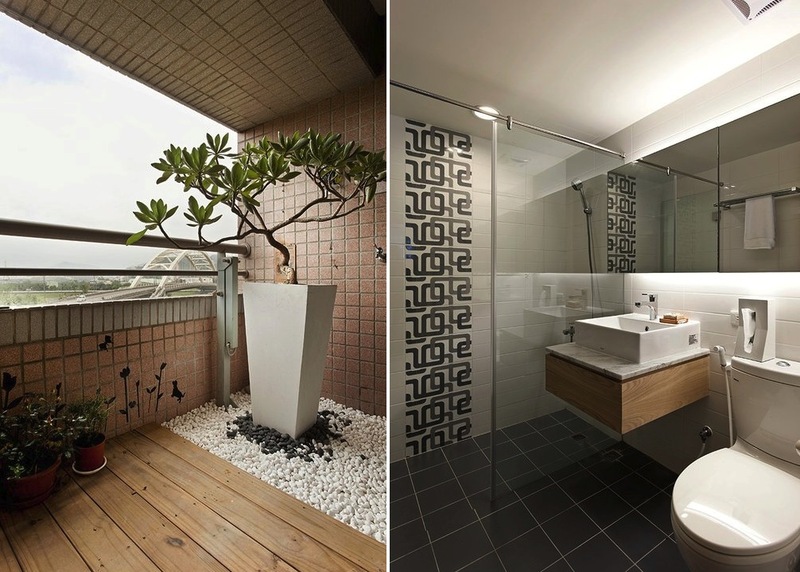 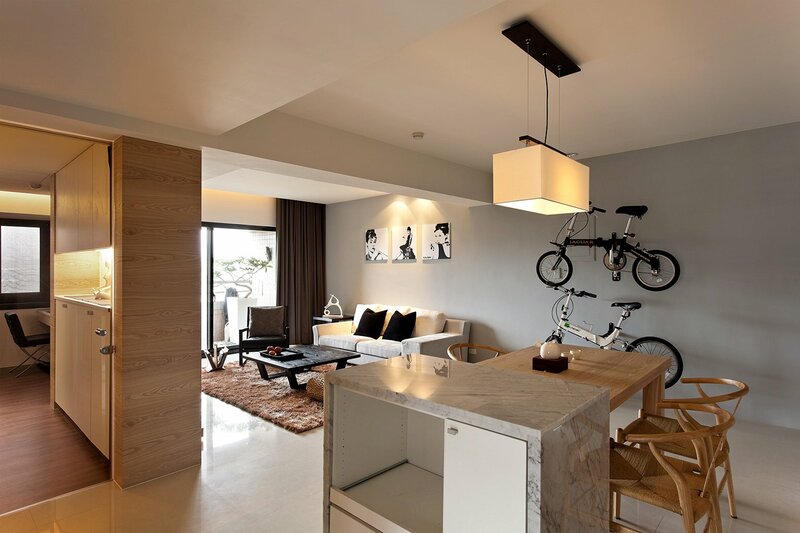 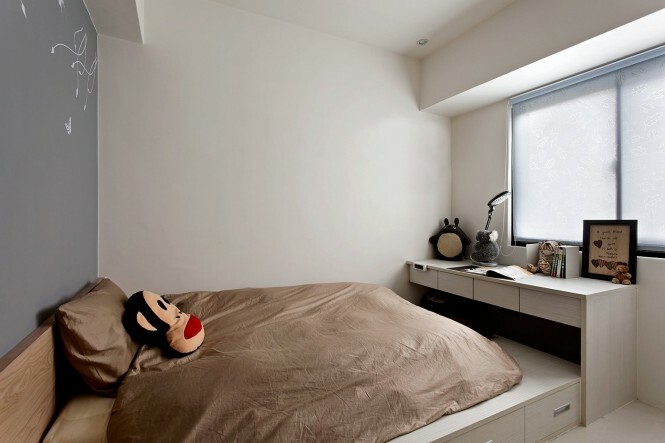 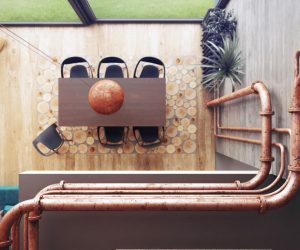 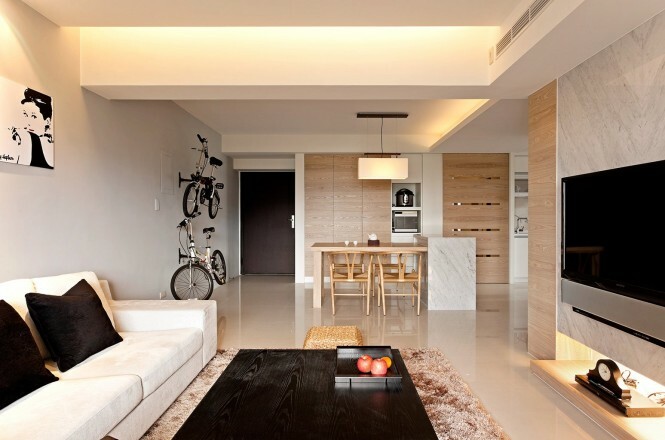 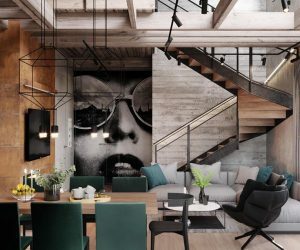 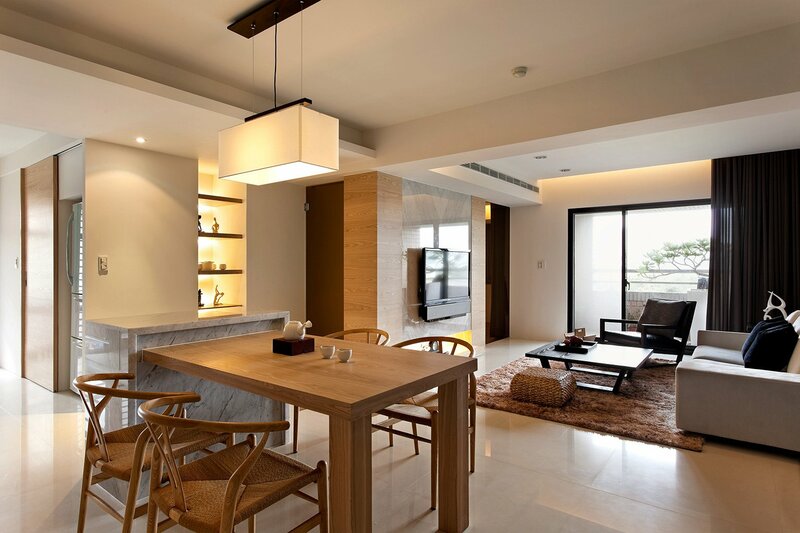 This stylish yet homey apartment design comes to us courtesy of Taiwan based Fertility Design, filling us with ideas on how to make a modest sized space appear roomy and high spec. 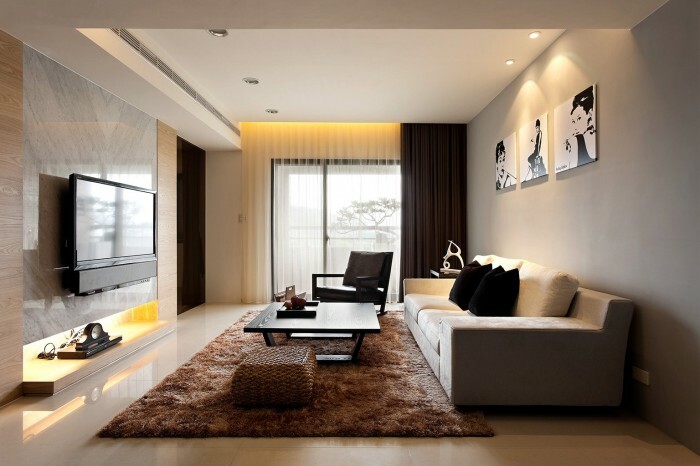 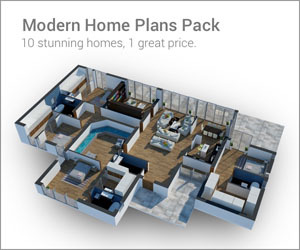 Take a tour through bedroom, living room and dining spaces with a connected, cohesive atmosphere providing a perfect feeling of decor flow. 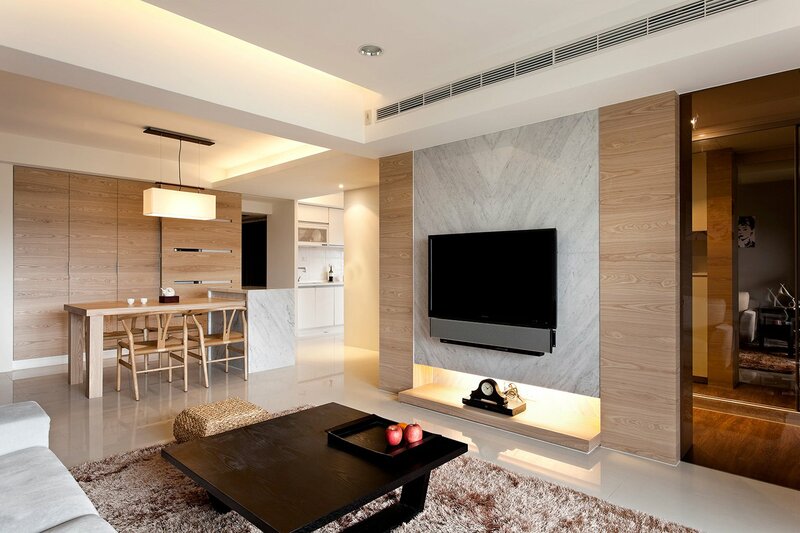 Each room is decked out in a neutral palette, with wood tones creating the only color against a gallery white backdrop, aside from a flash of dove gray behind the home entertainment area. 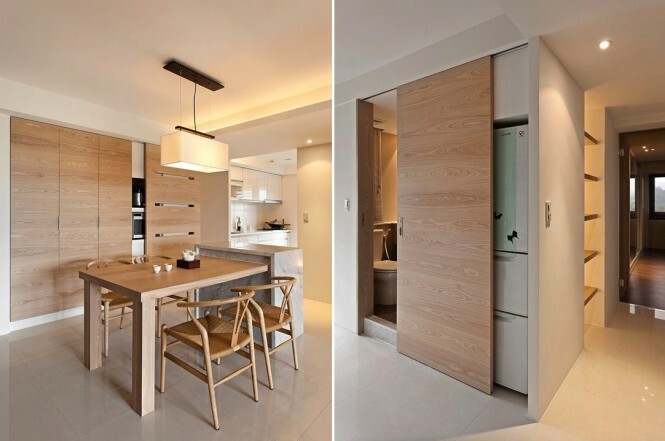 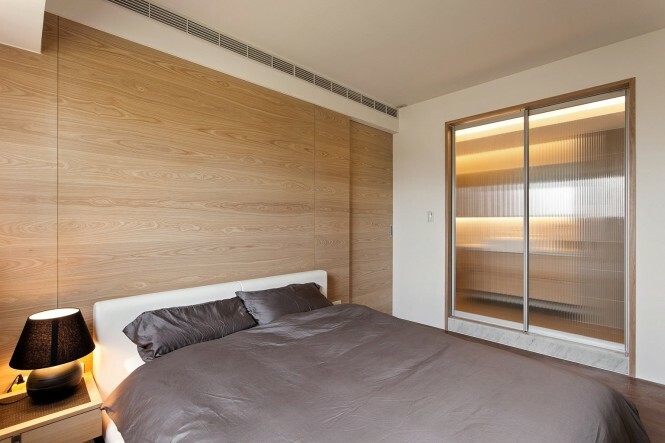 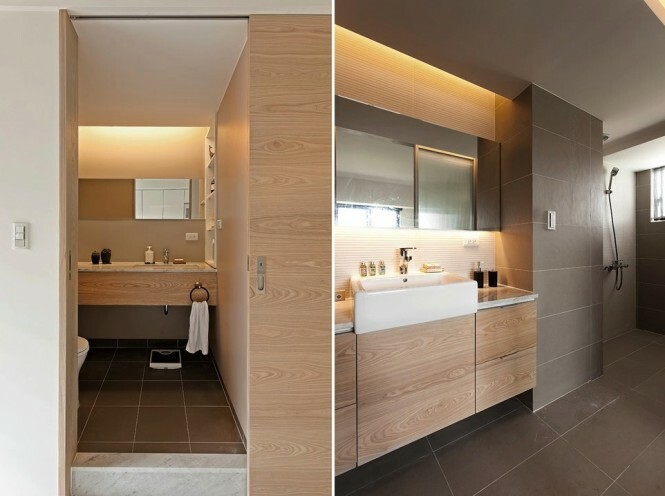 Much of the wood paneling are a fascia to concealed storage areas that keep the apartment looking well organized and uncluttered, though some of the veneer is purely cosmetic, providing warmth and intrigue. 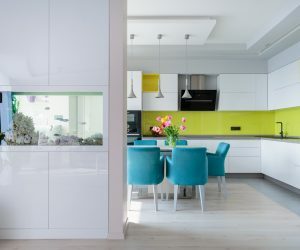 The living areas are open plan in this modest apartment space, but thanks to the uncomplicated color story, each area compliments the next without creating a jarring boundary. 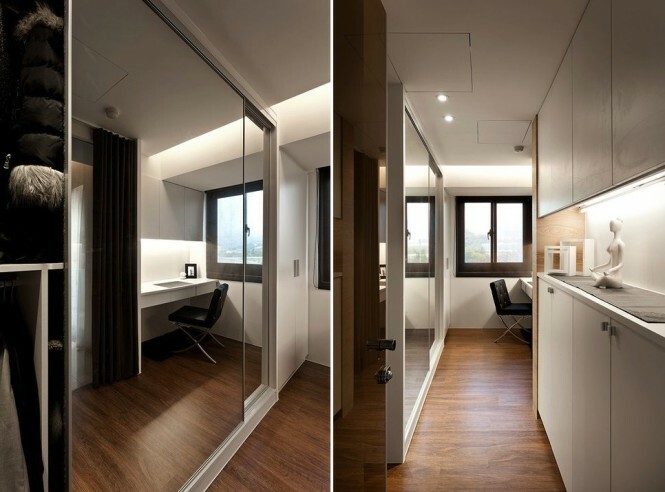 Storage spaces situated in narrow areas are mirror finished to give a feeling of more space, as well as to bounce more light around restricted quarters. 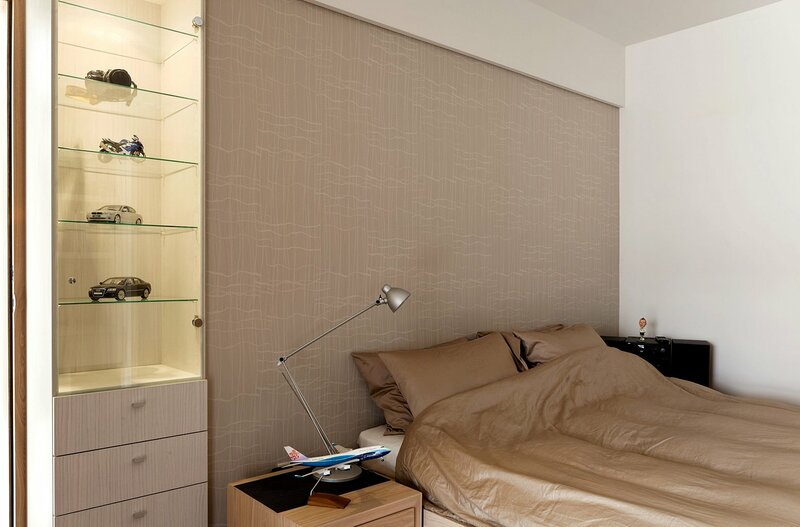 In the bedrooms the calming hues continue, which helps the decidedly compact designs of these sleep spaces to breathe.